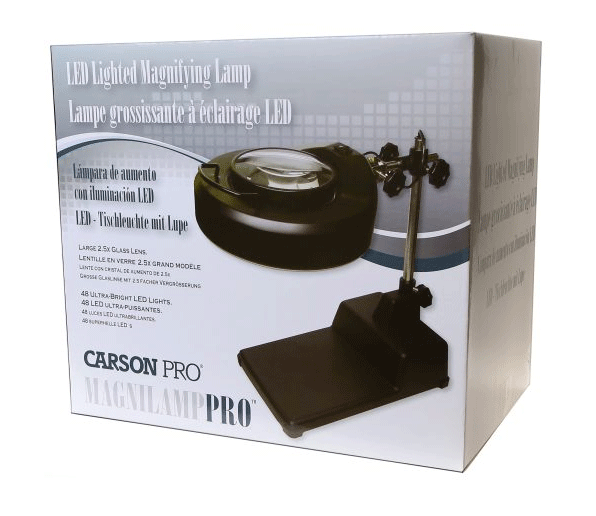 MagniLamp Pro from the Carson Optical PRO Series is a 2.5x LED lighted, adjustable magnifying lamp. It contains a 5″ (130mm) glass lens which allows for very high light transmission and will provide an extremely sharp and clear image. 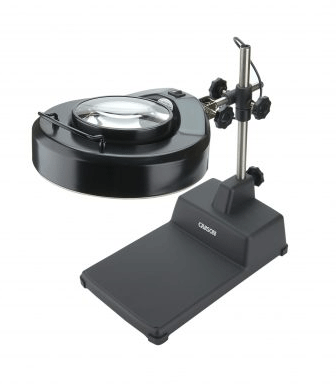 Glass lenses are also extremely difficult to scratch and magnify slightly more than acrylic magnifiers as a result of the material density. 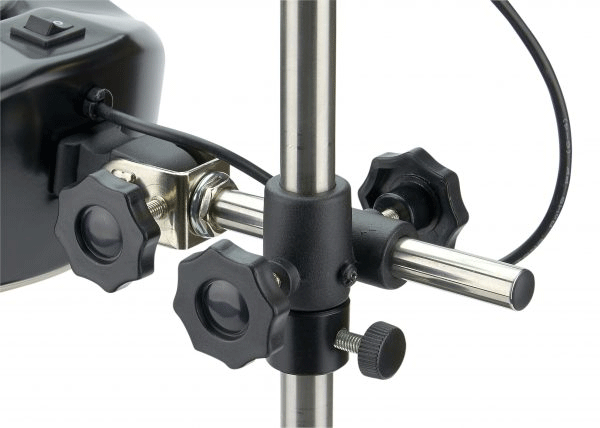 The MagniLamp Pro has a fully adjustable head that extends to 10″. 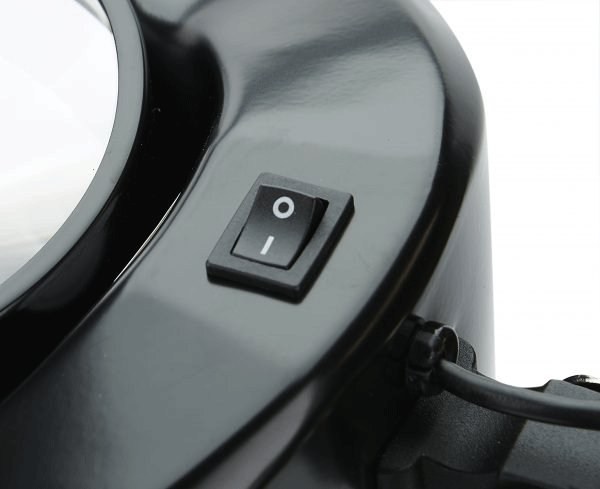 Use the built-in handle on the magnifier head to rotate the lens to meet any angle to meet your viewing needs. The MagniLamp Pro also boasts 48 super bright, built-in LED lights. 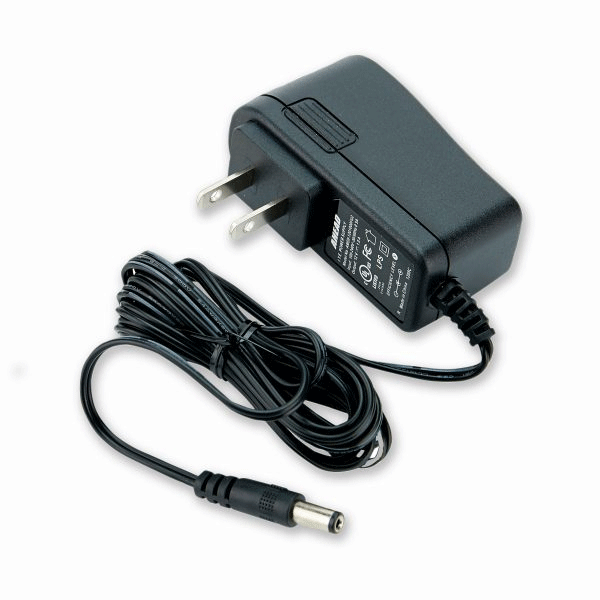 Plug the CP-80 into a standard outlet using the included AC/DC adapter. 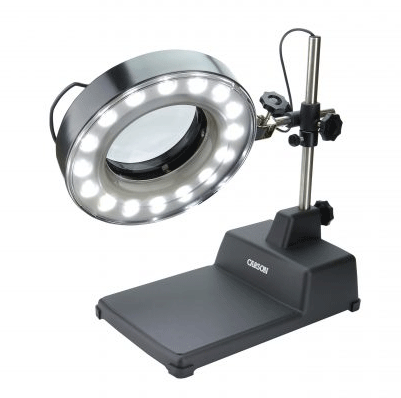 It also comes included with a protective cover to eliminate scratches and dust when not in-use. 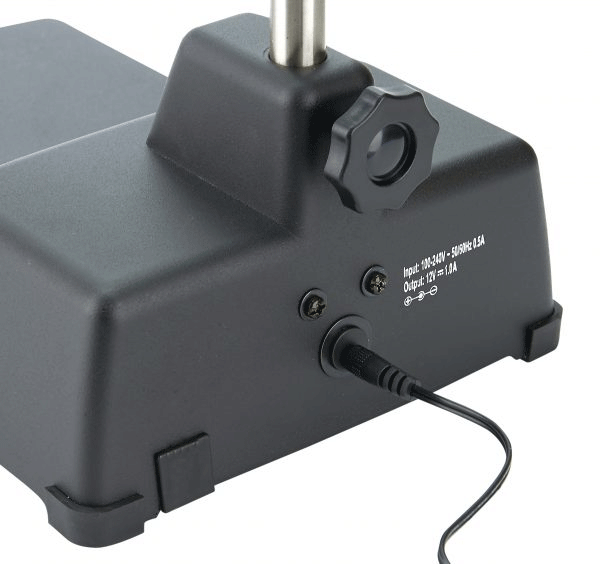 Use the MagniLamp Pro on your desk, table or hobby station. 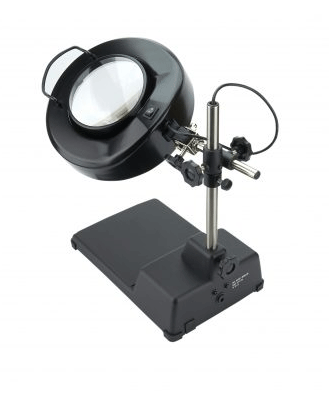 The MagniLamp Pro is an ideal tool for examining close details for hobbies and crafts. Dimensions: 15.8" x 9" x 13.5"